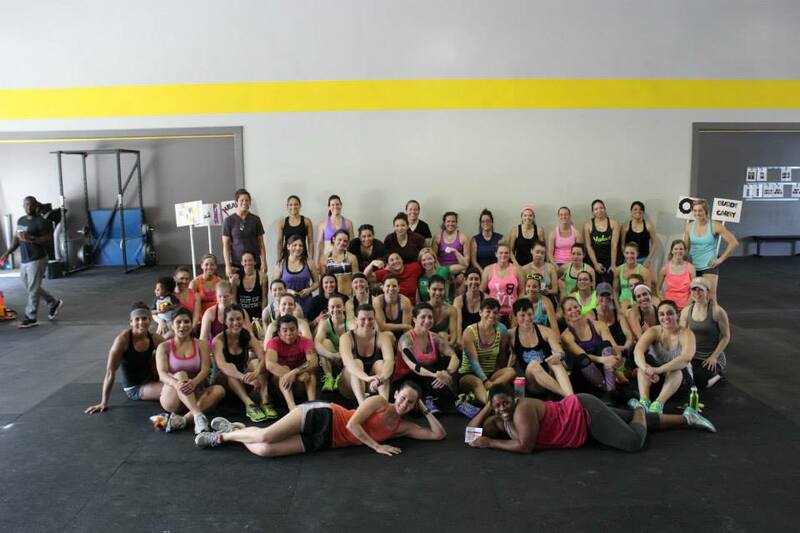 My new Crossfit gym hosted a workout challenge for girls only on Sunday. 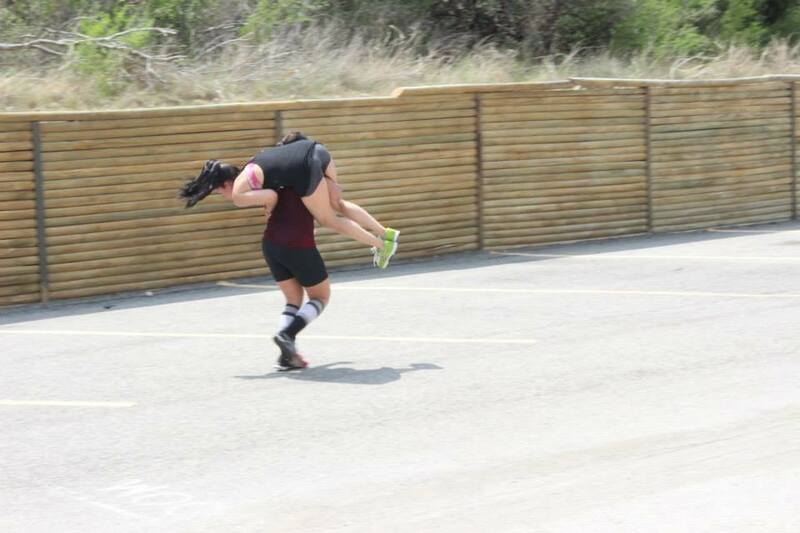 They announced that it would be a partner WOD, but that if you didn’t have a partner they would match you up. I am never a big fan of partner WODs, because I feel pressure not to let my partner down, especially if that person is a stranger, but I thought I would be brave and show up. We knocked out some running and stretching, and then they asked who didn’t have a partner and there were a few others… I was matched with a girl named Kat and we said our hellos. Say what you want about Crossfit – I know there are a ton of people who aren’t fans of it — but Crossfit people are by and large very nice and friendly. That community vibe is part of what got me addicted to it. It was ten rounds total, so I did a round of that and then Kat did, and we just went back and forth until we completed ten rounds. After that we hit the door for tire flips. I wish I had pictures of everything, but I don’t so use your imagination. We had to do 12 flips, so we split them up six and six. Now, at this point we were supposed to go back into the gym and do 8 rounds of the pull ups, push ups and squats. But Kat and I were so pumped we ran on over and did the sled push task too. First I sat on the sled and Kat pushed me 50m and then we switched. At that point the coach told us we goofed… so we had to do 14 rounds of pull ups, push ups and squats. Ouch. 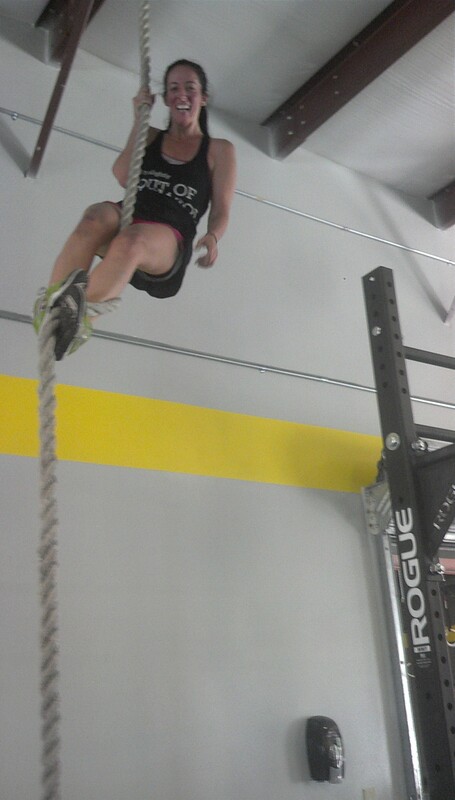 The next task was the heavy rope jump. It’s a really thick rope, like the one we climbed, and we had to do 12 jumps each. This was probably the toughest challenge for me because the rope was so heavy and cumbersome, and I’d never done it before. Back into the gym — this time for 4 rounds of the pull ups, push ups and squats. Back outside for partner carry. Kat grabbed my arm and flipped me onto her back “fireman style” no problem. She sprinted for 50m. Then we switched and I carried her piggy back style. I wanted to stop and rest but I toughed it out for 50m. Back into the gym — this time for only two rounds of the pull ups, push ups and squats. Last task – the rope climb. This is one of the few Crossfit activities that came fairly easily to me, so I’ve been able to do it for a while. 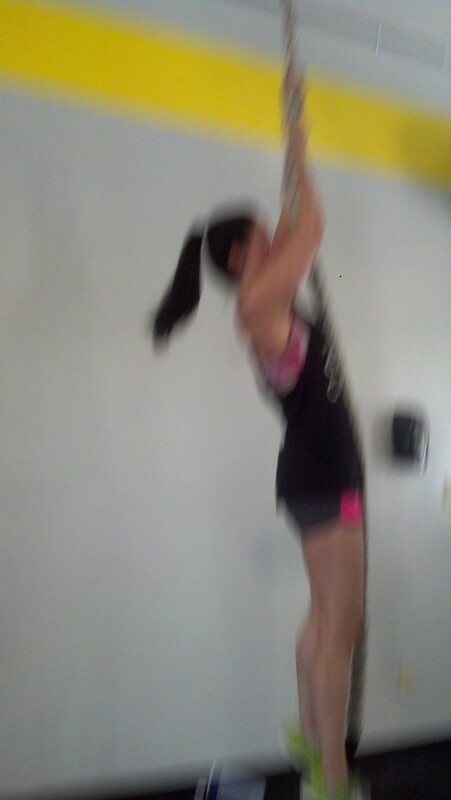 Still, after all those pull ups and push ups my arms were pretty shaky. 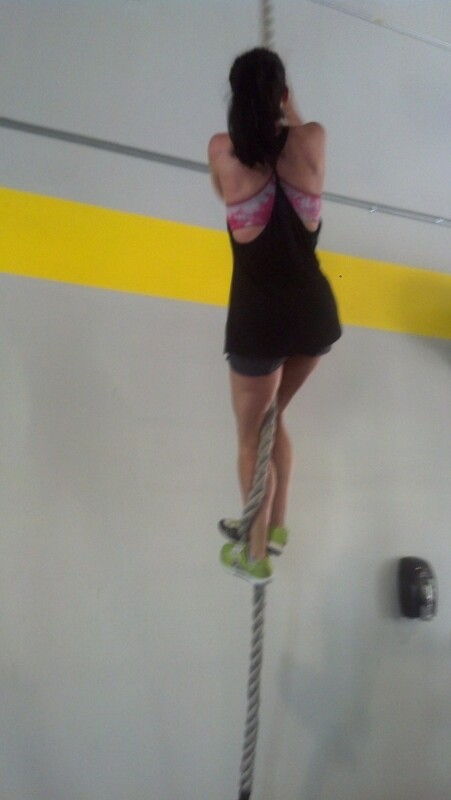 I gave myself a minute to rest and shake them out, then I got on the rope! It was tough to say how Kat and I “placed” because it wasn’t set up exactly like a race. Some of the tasks were crowded so we had to wait our turn to do them. (Which was nice, because it gave us time to breathe.) I would guess there were about 50 girls there, because all gyms in the area were invited, and maybe half of them modified the movements, like using bands on pull ups and such, so it wasn’t an apples to apples comparison. Still, I would say Kat and I did pretty well. I was on a high for the rest of the day, and I can’t wait for the next one! 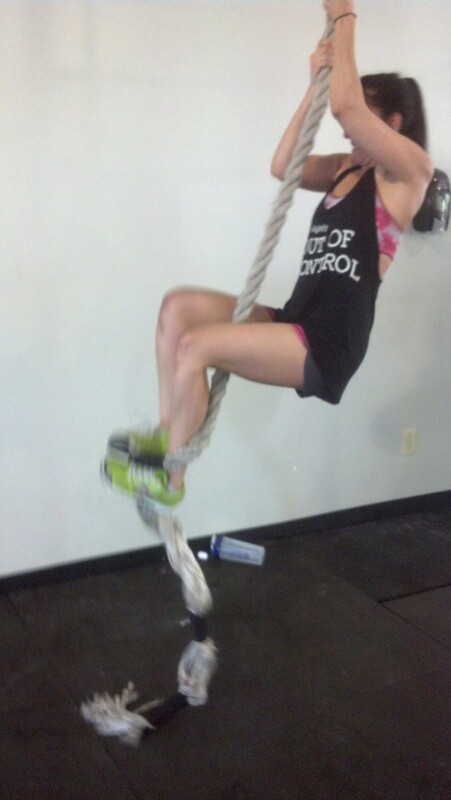 This entry was posted in Crossfit, Uncategorized and tagged crossfit, crossfit girls by redkeeney. Bookmark the permalink. That is truly amazing! LOVE! Whew, that sounds rough. Hey, maybe Kat will be a friend for you in your new town!